Delayed payments, poor prices and political decisions will drive the agenda at NFU Scotland’s AGM when it meets in St Andrews next week (Thursday 11 February and Friday 12 February). 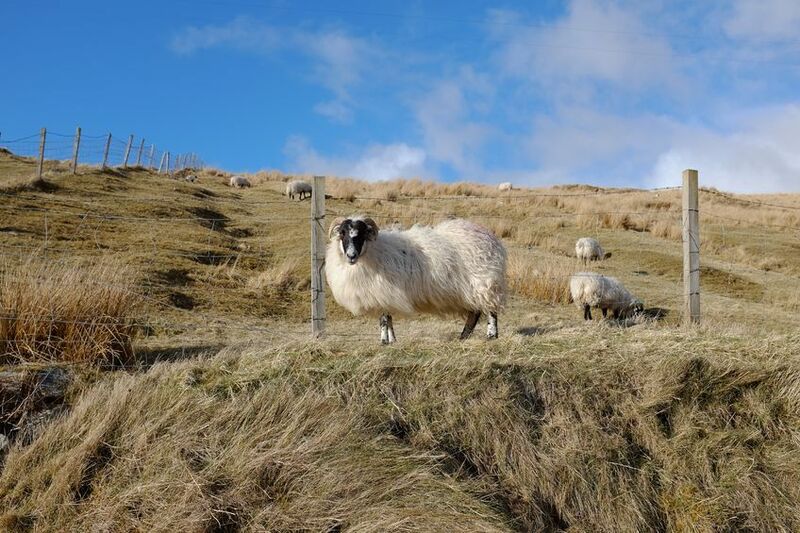 Scottish Government’s ongoing failure to deliver support payments to the majority of Scottish farmers, coupled with poor commodity prices and the wettest winter on record has made for a bleak start to 2016 for Scotland’s farmers and crofters. Over the two days, members will hear from both Scottish Cabinet Secretary Richard Lochhead and Defra Minister George Eustice. The industry is desperate for clarity on when overdue support payments will be forthcoming and, in terms of the total pot of funding available to Scotland, it wants to know when the promised Westminster review of the convergence dividend from Europe will take place. Key policy debates will also look at the impact of the proposed Land Reform Bill, currently passing through the Scottish Parliament, and whether the recommendations of Scottish Government’s own Agricultural Holdings Review Group on how to bolster the tenanted sector are being properly recognised. On the marketplace, where commodity prices for virtually every sector are at a low ebb, debates will look at the potential offered by home and export markets and what can be done to ensure farmers receive a fairer margin. The AGM will also examine whether direct contracts with supermarkets are good or bad for the industry. Great steps have also been taken in the past year to ensure the blight of rural crime in the countryside is taken more seriously and tackled in a more co-ordinated manner and the AGM will hear from Scotland’s Partnership Against Rural Crime. Looking forward to the event, NFU Scotland President Allan Bowie said: “While longer term there remains much to be positive about for Scottish food and farming, the short term pressures on farm businesses from poor prices, payment worries and bad weather are relentless. “That means finding a way to ride out the year ahead will drive decision-making at farm level. It is essential that, whatever decisions farmers are forced to make, we retain our capacity to produce food. “The farming community and the supply trade will be desperate to hear from Richard Lochhead and his plans to address the fact that two-thirds of Scottish farmers and crofters are yet to receive a single penny of their support payment. That ongoing delay has generated a cash flow crisis on Scottish farms that is building by the day and causing genuine hardship in some cases. “And we now need to be given a clear steer on what impact the current delays in delivering direct support will have on other support and grant schemes such as Less Favoured Areas payments, headage schemes and Young Farmer/New Entrant grants. Applications to the 2016 scheme year should open shortly – what reassurances can Mr Lochhead give that this year’s debacle will not be repeated? “In terms of the total pot of public funding available to the Scottish industry, it has been an unerring goal of this Union goal to secure real movement on how Westminster chose to allocate the UK’s €230 million convergence dividend from the European Union (EU). We believe they got it wrong and that needs to be addressed. “Scotland has the third lowest payment rate per hectare in the EU. The reason why the UK received this dividend was due to Scotland’s below average area payment rates. However, the UK Government chose to share this across the whole of the UK on the basis of historic allocations. A review has been promised and we would want to hear from Mr Eustice on what progress is being made. “Whilst it is unlikely that a fully converged UK area-based payment would have meant all the UK dividend would have been allocated to Scotland, it is certain that Scotland should have received considerably more than its historic allocation. “While public support remains a crucial element of farm incomes, the desire remains to secure more from the marketplace for our produce. This AGM will also hear about the opportunities that exist for our food and drink sectors, while also looking at the relationship farmers can have with our biggest customer – the UK retailers. “And the Union’s AGM never shirks from looking at the big issues affecting our sector. Scotland’s landmark Land Reform Bill is passing through the Scottish Parliament right now and has proposals that could impact on every farm business – big or small, land owner or tenant.